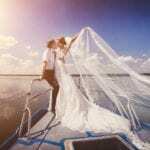 Top5 » Lifestyle » Weddings » Can’t Think Of What To Give Your Wedding Guests? 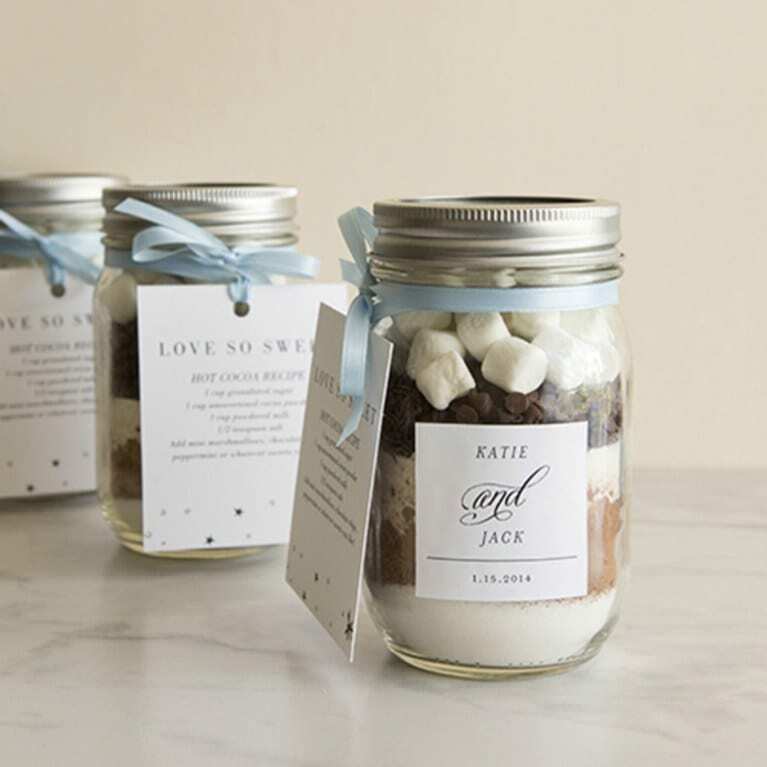 These Are Our Top 15 Favorite Wedding Favors! 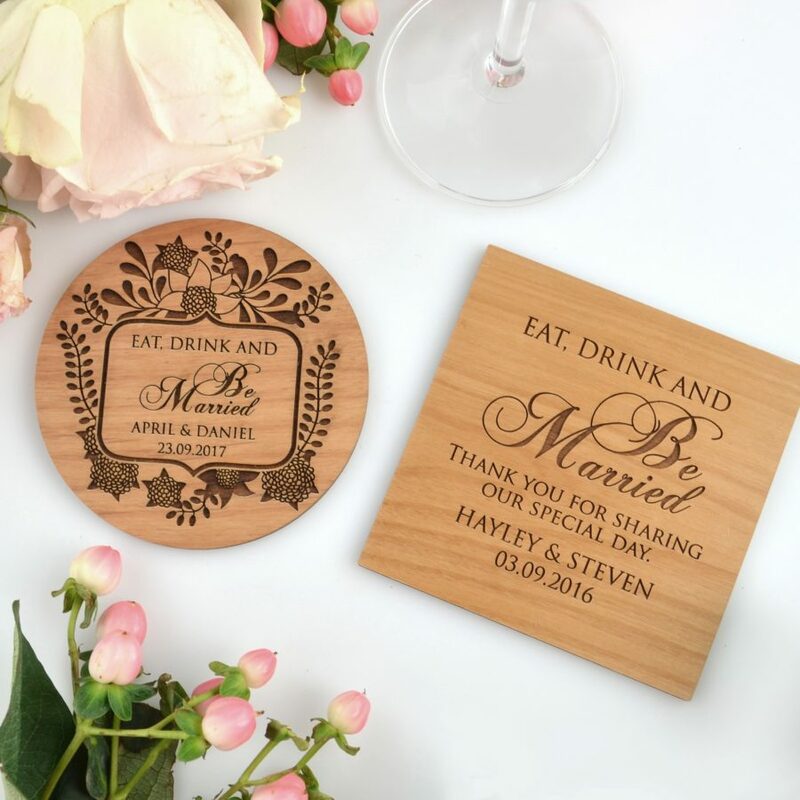 Can’t Think Of What To Give Your Wedding Guests? 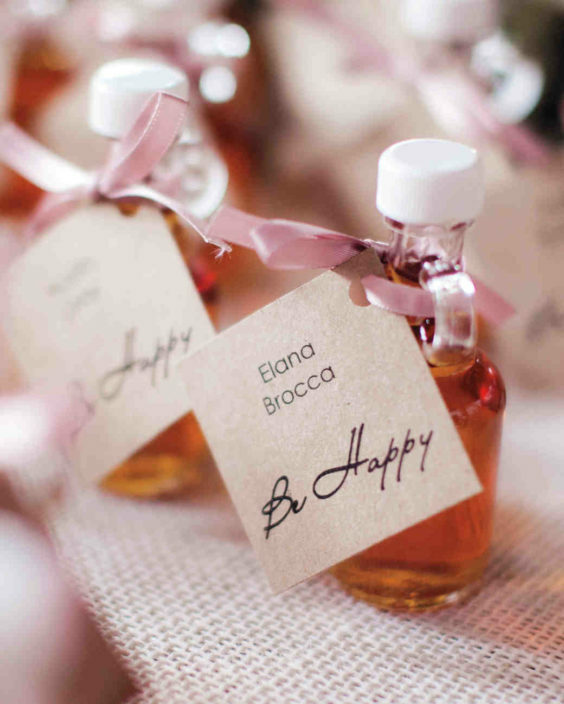 These Are Our Top 15 Favorite Wedding Favors! After our twelfth birthday, most of us stop giving out party favors every time we throw a casual shindig. But the tradition is back when it comes time for your wedding. Why? We can’t figure it out. Either way, unlike in elementary school, anything goes. You won’t lose your social standing if your mom fills the loot bags with healthy snacks. That’s mom’s fault. 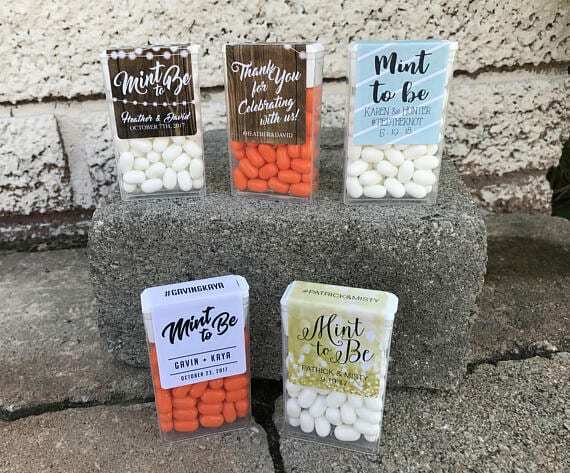 When it’s time for your wedding, it’s on you and you definitely do not want to be the one without memorable wedding favors. The unlimited options can be a little overwhelming, but there are a few common categories you can start out with. We’ll help you to decide what areas to focus on when searching for the perfect favor for your guests. 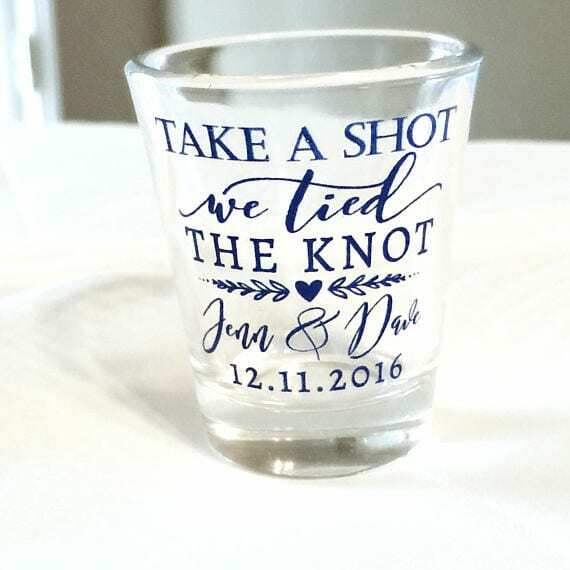 If you’re looking for a wedding favor that your guests will actually use, a wedding favor shot glasses are a great choice! You can use them as classic favors or treat them as decor when you pair them with illuminating votive or tea light candles. Or you can add your favorite type of liquid! Your guests will remember that they had a blast at your wedding every time they take a shot from this glass. There is multiple uses for this glass, and your guests will thank you later! These versatile glasses can be used as part of your décor and then become beautiful wedding favors for your guests to take home. Fill them with fresh flowers, pictures or sweet treats. The possibilities are endless when it comes to personalizing mason jars to fit your special event! 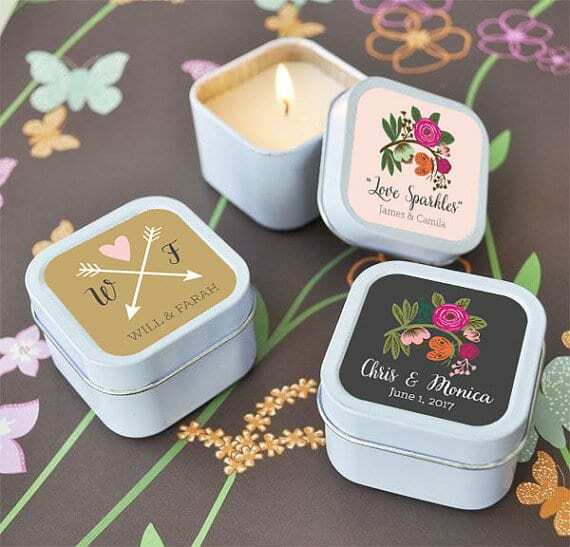 Wedding favor matches are the perfect way to light up your special day, without spending a fortune on favors. Personalize your matches with a photo, a message, or choose from a variety of fonts and colors. 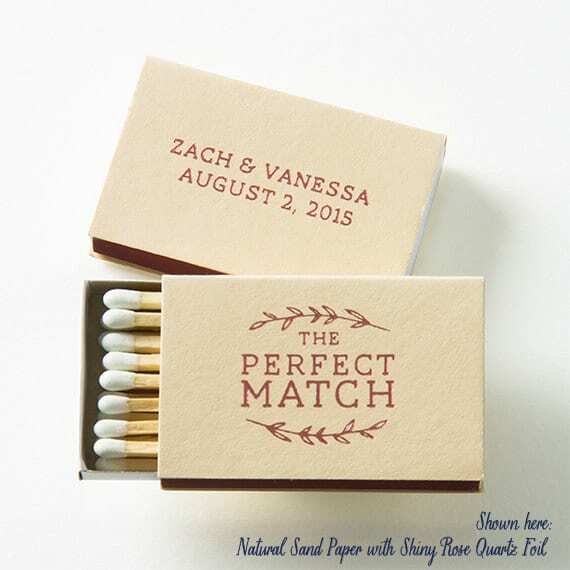 Customizing these matches are a great way to make your guests feel like part of the wedding and your love. 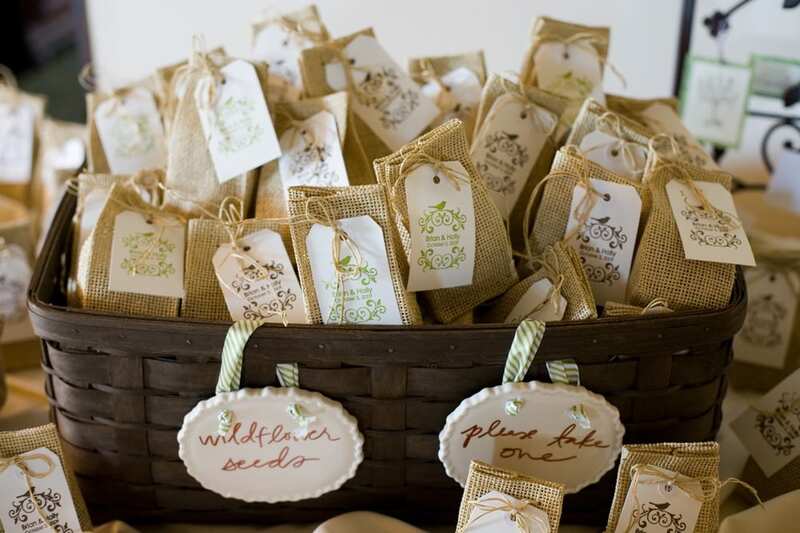 Give your wedding guests stylish, eco-friendly plantable wedding favors. These unique gifts are made with seed paper that can be planted in soil, both indoors or outside, to grow wildflowers. 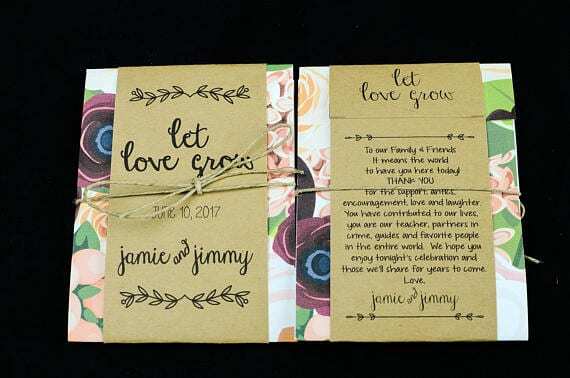 Choose from many designs and colors of seed paper wedding favors and customize them with your names and special message. You can even choose custom colors for most designs to make them just right for your event. The message in a bottle is a beautiful favor to give your guests. You can add a thoughtful note, or decorate the bottle with glitter, ribbon, or sand. 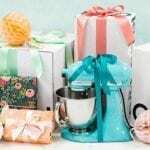 It can features a beautiful poem gift that will bring the biggest smile to the face of the person you need to get a wonderful romantic gift for all at the same time expressing your deepest feelings of love for them in a unique way for any occasion. 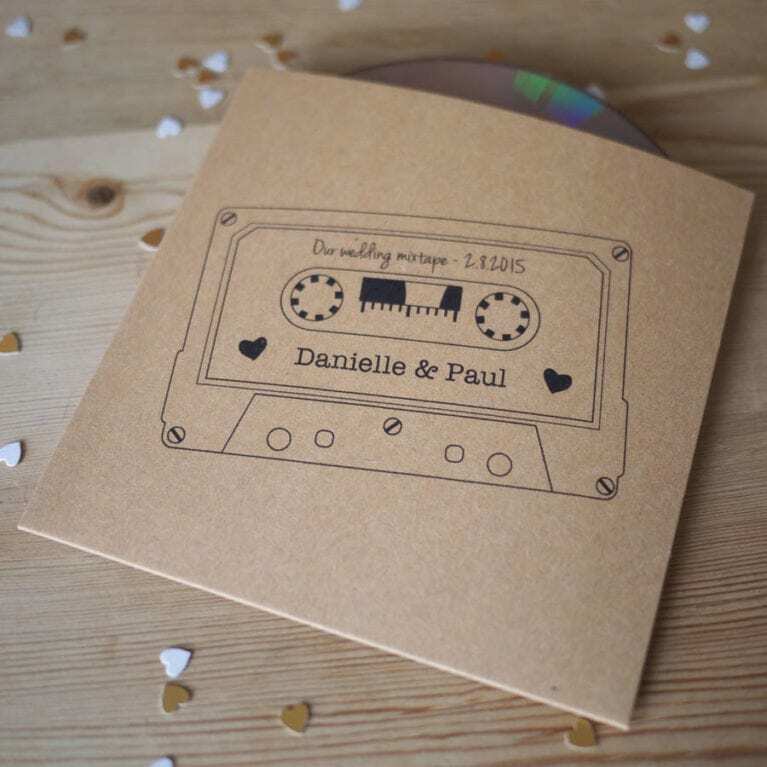 Incorporate the colors and themes from your wedding into a custom label. For now or later—serve these bottles straight from the wedding reception bar, or include them in a goodie-bag as a keepsake. Use mini champagne bottles for your champagne toast. You can even put part of your speech onto the bottles. 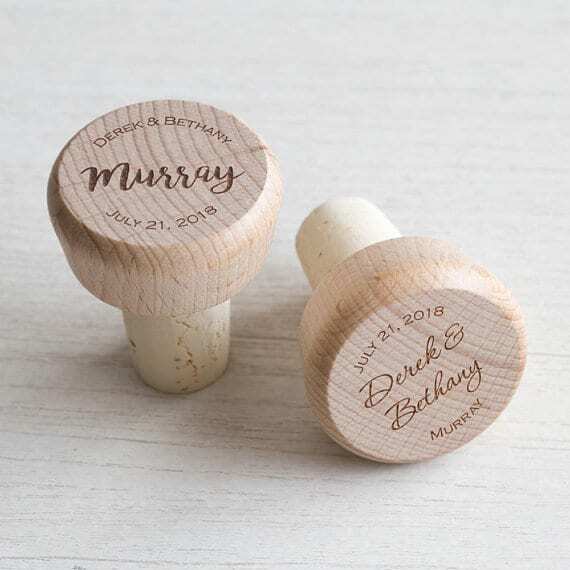 Wine stoppers are a universal wedding favor favorite! Decorative yet practical, wine stopper favors such as chrome, crystal, wood, and glass wine stoppers can be used on the big day and for many years to come. 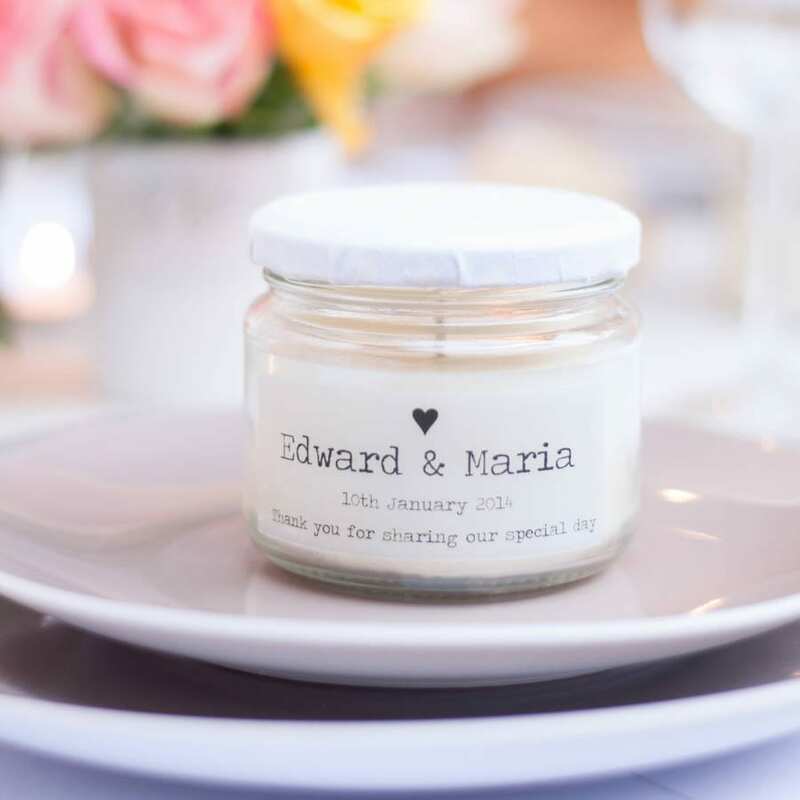 Create a romantic setting with a unique candle wedding favors. Candle wedding collection includes designs for different themes, colors, prints and sayings. Whether you’re planning a beach theme or vintage theme wedding you’ll find the perfect candle favor. Check out a votive candles and lanterns. They not only make excellent favors but also are perfect for table decorations. 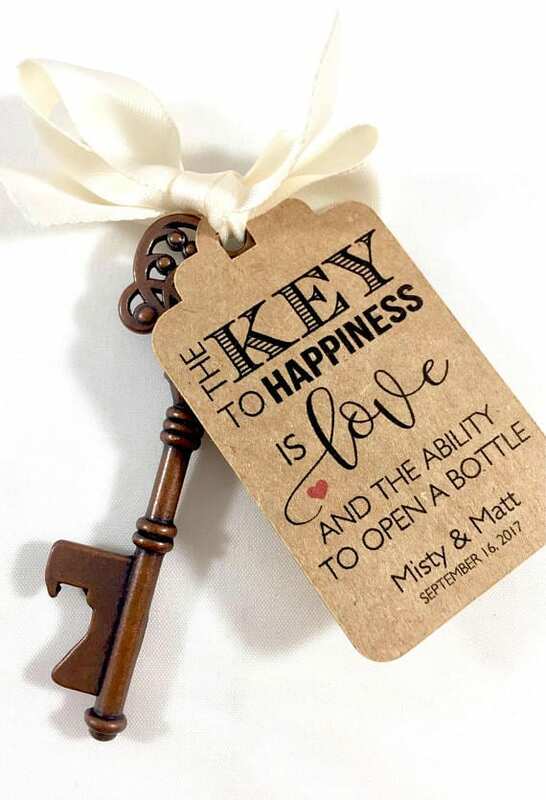 Your guest will love these key to happiness tags AND skeleton key bottle opener wedding favors! Simply add each tag to the chain that’s included or use your own twine or ribbon. 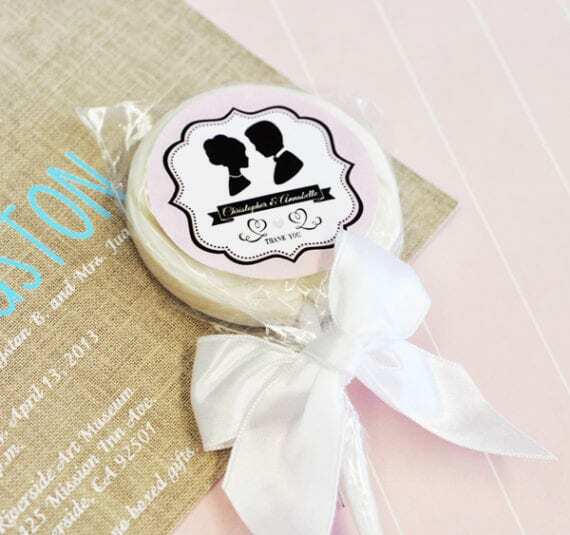 Make the tags your wedding colors or a neutral color like white, cream or kraft color card stock. 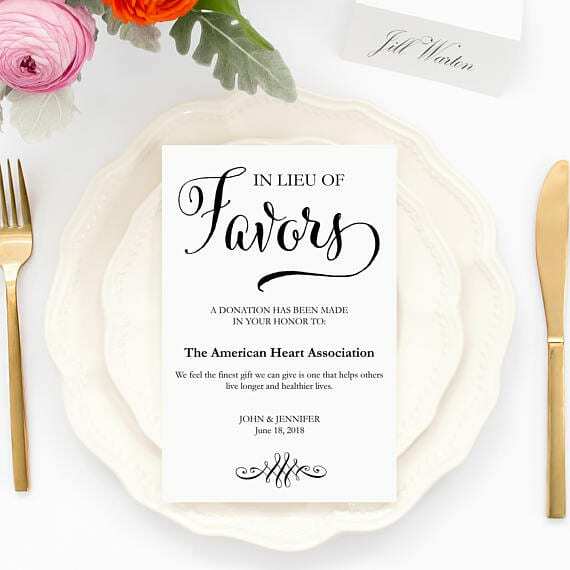 These are becoming more popular and there are now a number of organizations that will take care of printing beautiful cards for your guests explaining that a donation has been made in their honor. It’s a lovely way to thank your guests while helping others and spreading kindness. As much as a particular cause may be important to you, try to stick to organizations that are non-controversial. It’s not the day to share your political views. Having a donation given in your name to a cause you don’t approve of isn’t just worse than a candy bar, it’s insulting. But even while keeping that in mind, there are a wide variety of organizations you can choose from. More neutral options would be any organizations that support children, animals or arts. As an added bonus, some organizations will print your message about the donation right onto blank place-cards so you’ve really got all your bases covered. 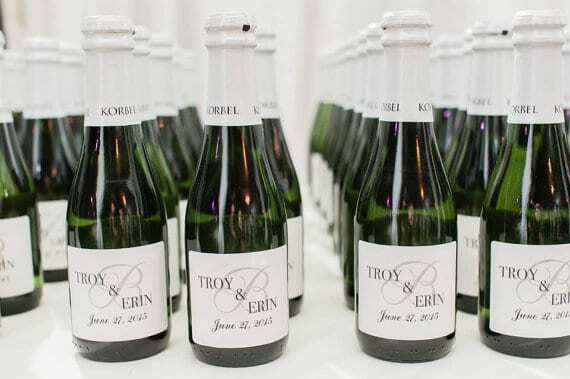 Some examples of organizations that would well as wedding favors include The American Cancer Society, Make-a-Wish Foundation, UNICEF and Save the Elephants. This option of wedding favors kills two birds with one stone. Take any of the items above, and then add names and table numbers. You may want to avoid things like squishy bags of candy since they won’t stand up easily and people may have a hard time finding their place-card when they enter the reception hall. We all know the frustration of a traffic jam in the doorway. Instead, try items that fit nicely into boxes or containers, such as tiny flower pots or jars. 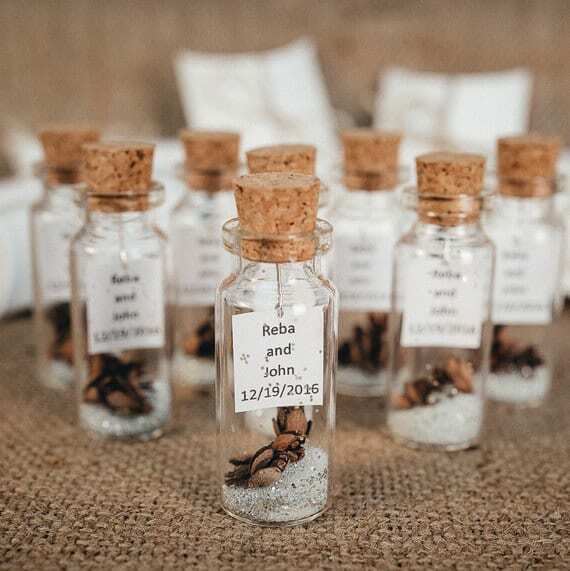 Some other unique ideas for wedding favors would be a mini bottle of maple syrup, a mini book with a quotation about life and love, mini succulents or even mini pieces of art. To make this easy, don’t bother hand-labeling each one. 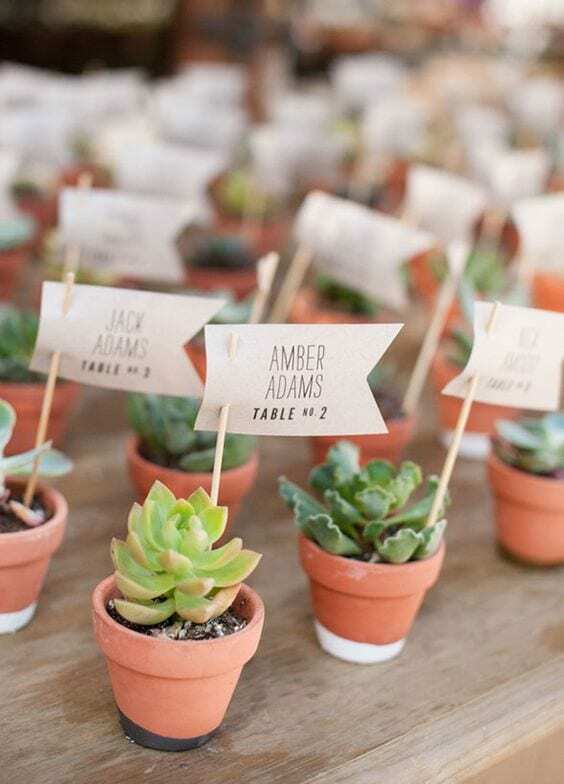 Instead, set up a database that lists your guests and their table numbers and prints each one out on a pretty labeling that matches your color theme. You’ll save time and avoid volunteer helpers with bad handwriting. In case you didn’t know, we’ll let you in on a secret: There are companies out there that will print your name on anything. So first figure out how much you want to spend on each guest. Then try to think of an item that most of your guests will appreciate (here’s where we get back to candy and cookies) and maybe even represents you a little bit. 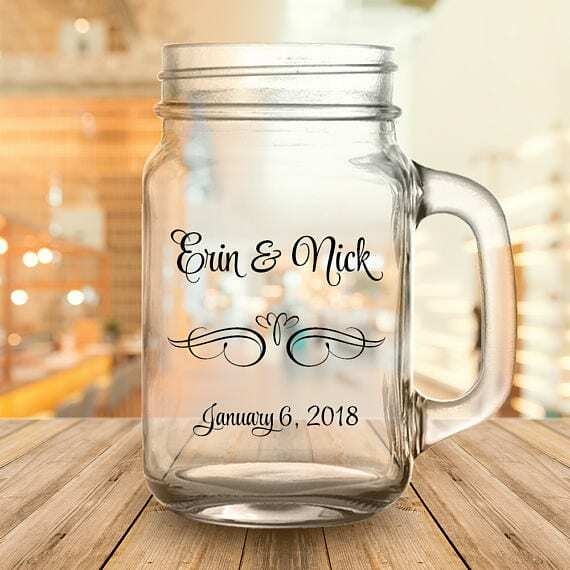 Now it doesn’t matter if it fits the theme or even seems particularly wedding appropriate because once you’ve got your names and the wedding date stamped on, it’s automatically the perfect souvenir. The personalized weddings favors could be as big as a candle or as small as a bookmark or coaster. This can be DIY if you’ve got the time, but if not that’s fine too. Just do a quick internet search for vendors in your area. 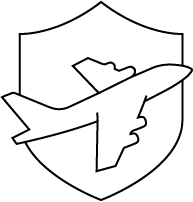 But make sure to leave plenty of time for shipping and get recommendations or check with the Better Business Bureau so you know you’ve found someone reliable. If however, you do have some time to kill you’ll be able to save even more money on wedding favors and probably find a way to express yourself to your guests. First of all, take a minute to consider whether or not you have any particular hobbies, talents or skills that could come in handy here. If your family and friends know how much you like to cook for them then consider assembling all the ingredients for one of your favorite recipes in small jars with labels that say “thanks for celebrating with us!” and include further cooking instructions. If you’re more into building models, then consider building a small model for each of your guests. Providing that your invitation list isn’t too long, you may even be able to personalize each one. 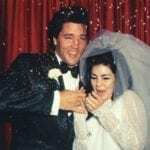 If computers are more your thing, consider giving out disks with a photo album of the couple and their family and friends. What could be bad about candy? Not only is candy a universal favorite, it’s also very versatile. Even the most straightforward, kid-friendly candy bar can be wrapped to make it look extra sophisticated or to match your wedding theme. 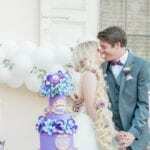 For example, favor bag of chocolate kisses can be tied with ribbons to match the colors of the tablecloths with a small tag of a contrasting color. 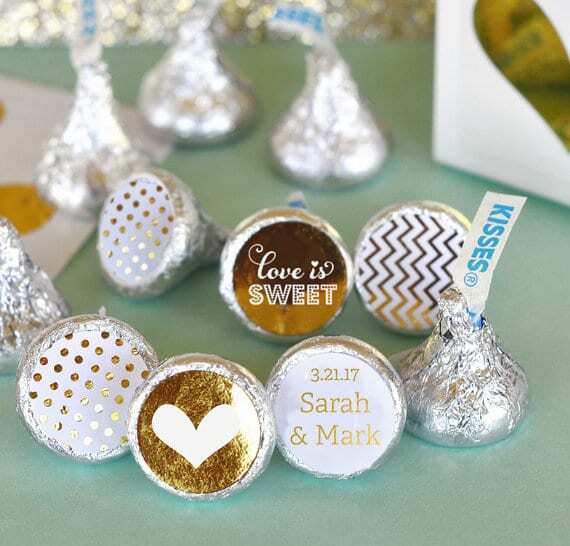 If you want your wedding favors to be even more personal, try a single piece, like a large lollipop or chocolate bar and tape a photo of the happy couple onto the packaging. Check online for instructions on the least messy way of doing this. Another option, however, is to choose the candy itself carefully. Regional specialties are especially nice if you have out of town guests. For example, if you’re having a Vermont wedding, give out maple sugar candy. If your wedding is on the Jersey Shore, give each guest a box of saltwater taffy. Although it’s possible to dig up really sophisticated gourmet treats, giving out candy is usually a good way to keep your costs in check without committing yourself to spending days creating something from scratch. Can’t decide? Put together a candy bar… a table with jars filled with different candies with scoops inside. Then guests can grab a bag and fill up to their liking! Of course to make it favor-worthy, have your bags personalized for the perfect wedding favor touch! Our Top 5 Wedding Twitter accounts are sure to help decide on the perfect wedding favors too, we love following their ideas! Think you can come up with better ideas for wedding favors? Let’s hear your ideas in the comments below!